Langlois Insurance Agency is excited to partner with Pekin Insurance to raise money for the Honor Flight Network. We will honor those who served in the military by supporting the Honor Flight Network, which was created solely to honor American veterans for all their sacrifices. Our hero veterans are transported to Washington, DC to visit and reflect at their memorials. 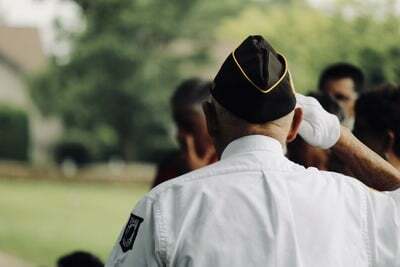 It is a small tribute to those who gave so much – a memorable, safe, and rewarding Tour of Honor. All of us at Langlois Insurance Agency feel that this is an incredible opportunity to express our gratitude and admiration for our troops who so valiantly served our country. Over the past year, Pekin Insurance has donated more than $100,000 to the Honor Flight Network. So, how can you help us raise this money? It’s simple. For every life insurance application that is submitted by Langlois Insurance Agency through mid-December, monetary funds will be donated to the Honor Flight program. The Honor Flight Network has established an aggressive goal. Through the end of 2017, they transported more than 200,000 veterans to Washington, DC to see their memorials. Due to the senior age of our heroes, and the prediction that we are losing approximately 800 of these heroes daily, the Honor Flight Network is committed to doing all within its power to make a veteran’s dream a reality. So, if you have been thinking of purchase life insurance for you or a loved one, now is the perfect time to submit an application. As always, please don’t hesitate to call me with any questions or comments. I always love to hear from my customers.